This lovely lot with beautiful mountain views has buried utilities, water meter, electric meter, city sewer. The lot is in a gated and fenced RV community with 24 hour security surveillance. There are many activities here to enjoy. In fact, more than you can take in. 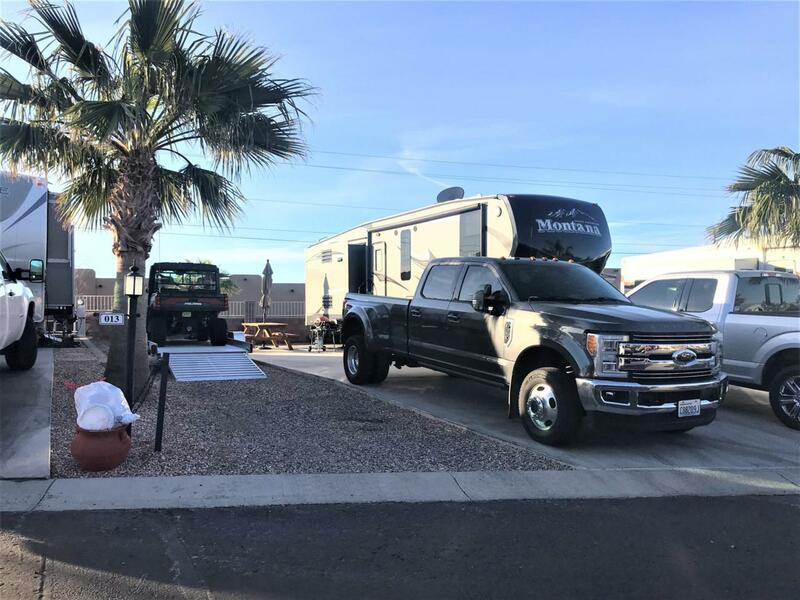 This is a 5 Star Gated Havasu RV Resort accommodating RV's 25ft or longer, no more than 10 yrs old. If you have never been here, come and enjoy prestigious living in this 5 Star RV Resort! Amenities include two million dollar clubhouses complete with swimming pools, spas, gourmet kitchens, a fitness facility, laundry facilities, dance hall complete with dance floor and disco ball, outdoor activities, bocce ball, horse shoes, razor riding, boating, arts, crafts, poker, cards, games, dancing, karaoke, bands every week, dance lessons, more than we can list here! This resort boasts a putt and chip green, lush landscaped walking paths, and so MUCH more!